Reports emanating from Spain suggest that Manchester United are preparing a club-record bid to bring back Portuguese superstar, Cristiano Ronaldo back to Old Trafford. The 33-year-old who plays for Real Madrid stunned the football world by announcing his readiness to leave the Spanish capital immediately after the Champions League final victory over Liverpool last month and it seems that Jose Mourinho is ready to sanction a move for his countryman. 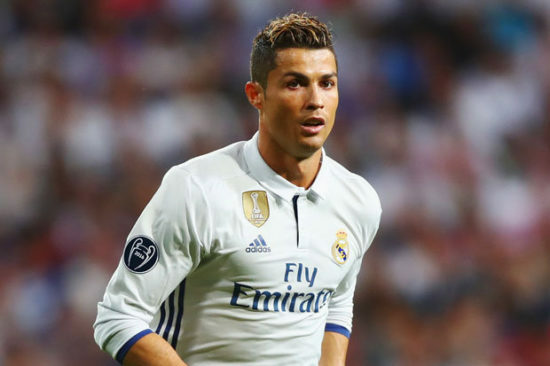 Ronaldo is ready to leave the Santiago Bernabeu this summer as the club hierarchy are unwilling to pay him what he is demanding. Madrid are not open to the possibility of extending Ronaldo’s current contract given that he turns 34 next February and is on a steady decline. The club legend wants his pay packet to be closer to that of Neymar and Lionel Messi, who currently earn north of £500k-a-week at PSG and Barcelona. Don Balon, a Spanish publication report that Manchester United are ready to pay up to £132m for the services of the 5-time Ballon D’Or, as well as offer Paul Pogba as a sweetener in the deal. Real have long been linked with a move for the France international, who seems to have fallen out with Jose Mourinho. While Ronaldo is undoubtedly a great player, he does not have the pace he used to. It might be a mistake to let go of Pogba, who has far more long-term potential, before we develop a system that allows attacking individuals to flourish. In the current 4-2-3-1 setup, the double-pivot stays deep and full-backs do not tend to stretch play, so opposing teams were able to crowd out the four most advanced players. The signings of Fred and Diogo Dalot could go some way to solving those respective problems and Pogba could thrive in a more expansive system; but of course so could Ronaldo. Twice as big as Pogba's…. Hey @Cristiano, if you're using United to get a better deal at Madrid.. Shame on you! Just pay the €170 Million for Ronaldo! It’s CR7 For gods sake! Ronaldo spent six years in Manchester between 2003 and 2009 before going Real, winning a raft of trophies including 3 league titles, 2 League Cups, The FA Cup and the Champions League in 2008. His arrival could potentially catapult United ahead of City and make us the overwhelming title favorites going into next season, but any change in personnel must be accompanied by a change in mentality. Given the job Zlatan did for United at 35 then Cristiano would have an even greater impact at 33, so signing him for three years is a great deal for United , besides who is to say that Real Madrid would even ask for ridiculous money as a: they know they won’t get it and b: it’s only press speculation anyway. I would imagine RM would prefer to keep Gareth Bale and let CR7 go for a more reasonable £80M plus we need to keep Paul Pogba too. personally I would go for both Ronaldo and Bale for a combined £200M and sell Martial and Sanchez.